The list is sorted based on price, starting from the lowest to the most expensive. This is an ever evolving list. There are so many good sounding CIEMs out there that we can’t list them all, but here are our favorites for now. I know I know, there are many CIEMs in our list already. But after hearing its performance for this little price, I had to ask Lieven to put this one to the recommended list. 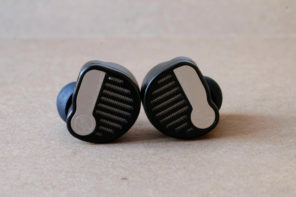 I repeat, this is the cheapest Custom IEM as far as I know and for a base price of 220$, you get a very good customer service, great natural sound with excellent bass response with perfect sound stage for the money. I’m not sure you can ask more in today’s market at this level. Tatco has made a perfect job nailing this one. If you don’t like darker and thicker sounding IEMs than this is not your cup of tea; but if you like smooth, organic, natural and easy to listen to IEMs with a strong bass, then this is your budget CIEM without a doubt. I’m looking forward to work together with LEAR for future reviews and especially the exciting BAMDAS 5 model, which will amazingly have 5 dynamic drivers in it. As usual from Jomo Audio, you can expect a great build quality and top comfort. The Jomo Haka is easy to drive and pair with a whole series of sources and it delivers a really nice sound with a focus on musicality and naturalism. Jomo calls it a coherent and pure sound, and it’s exactly that. The Haka is affordable and it’s the perfect monitor to enjoy your music with. 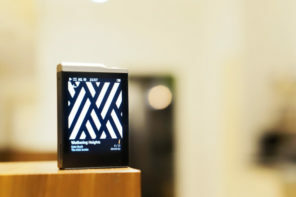 The Haka has an easy to like sound signature and it lets you dream away with your favorite tunes. For a one driver, you’re getting a lot in return and it is a recommended monitor in its price class. 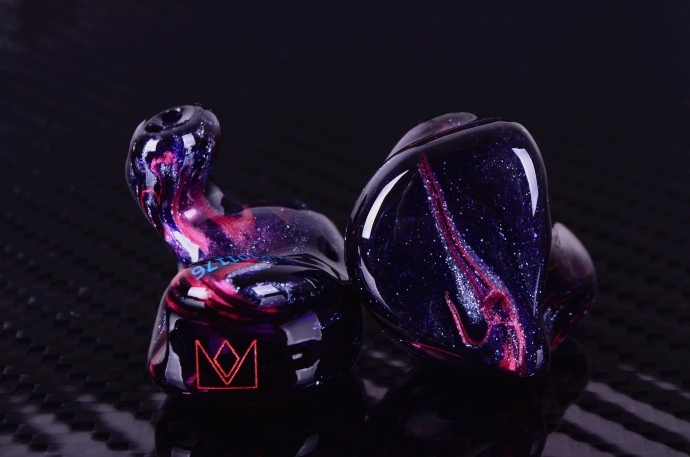 Cosmic Ears is to blame for my CIEM addiction. 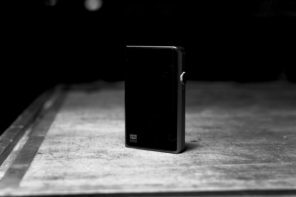 Cosmic is the Fiio of the CIEM world and I mean that in best possible way as the UK build/Swedish designed CIEM company, delivers THE best value for money on the market. The 6-driver CE6 (what’s in a name) is a very good all-rounder and it’s strength is in the fact that it does everything really good and with the same ease. 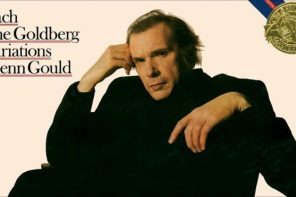 It doesn’t really excel in voices or treble or bass, but the complete picture simply is one of the best. The way CE manages to make bass, mids and treble sound as one coherent “part” is one of the best in the market. If you’re in to bass there also is a B-version available that will rock your world. In my opinion Lime Ears is one of the most overlooked brands in this field. They don’t launch many products every year like others, but when they get one out in the wild, it is a killer product. Aether was one like that two years back and Model X is one right now. It definitely is the monitor to beat in the sub 1000$ category and does also rival some higher tiers. For me it has become my reference below 1500$ and one model I certainly don’t want to part with – ever! It is refreshing to see so much quality audio at a still affordable price, even though 900€ still is a tough pill to swallow for many, this price bracket has weirdly become mid-fi now. Lime Ears proves the contrary can be the truth and provides a CIEM with exceptional price performance ratio! X has become one of my easy-recommendations for everyone looking for a custom monitor in the sub 1000$ region or that does it all and that can adapt to your preferences. Nathan insists that this CIEM is included in the CIEM buyer’s guide as it is number one monitor. If I were to rethink my custom lineup in terms of preference, I’d have a hard time not putting the UERR first. 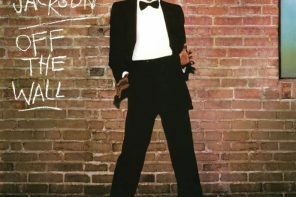 It’s its flat, unaccented voicing and wide image that really does it for the music I most often put through my DAPs. For the daily grind, and for longer, more varied listening, the UERR is intensely satisfying. Are you searching for a sound that is exactly like your studio monitors in a custom in ear? Look no further, this is one of your answers in this industry. You can add a little more color into the mix with a nice copper cable as well. This is not a monitor for those who seek a luscious sound with a big bass and vivid mids. You have to have the experience and ear training to appreciate what this monitor marvelously puts on the table. In my audiophile journey, the IEMs that caused me a “wow” are no more than fingers of one hand. Well, this one has already managed to be on my very special list of very special IEMs, and that should tell something. The performance Warbler brought to the market is incredible. You may or not like its typical signature with more forward voices but it’s tonality, detail, speed and precision are exemplary and Warbler certainly sets the bar very high for the competition and who knows for their own multiple driver customs down the line if they do decide to go there. The Warbler Prelude is easy to pair and I basically liked it with every single amp or DAP I tried it with, you’ll just hear the characteristics of your source appear in the sound, but isn’t that exactly what we want? If you then realize they all doing it with one single BA driver, you can call it a small miracle. The Harmony 8.2 is the successor of their excellent H8P. The new eight driver ciem – I fully recommend going for silicone – is wonderfully constructed and sounds detailed, clean and clear. It has a little more body compared tot he original with softer treble and overall this “update” scores better. The 8.2 is the perfect marriage between an analytic monitor and a musical sounding one. A TOTL monitor that can’t be missing from this list. The Aether was the first CIEM in my collection that had a switch to turn on/off sub bass. It won our best CIEM award back in 2015 but it today still is a CIEM to take into account when shortlisting monitors. Aether is nice, Aether seduces, Aether rocks, Aether does it all. Aether is the kind of monitor that makes all types of music sound good, it’s engaging, has great imaging and sounds musical. The bass switch basically gives you two different sounding sets of monitors and that’s a great added feature. The overall sound signature is on the warmer side of neutral with a slight focus on bass and key characteristics are detail, depth and layering. For a 5 driver, it is sublime. Everyone likes, dislikes and prefers different things when listening to music, but for me – in the context of pure enjoyment – this is one of the best, if not THE best custom monitors in my 30+ collection. 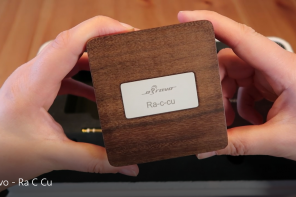 As a result it comes as no surprise that this monitor goes straight to Headfonia’s best (custom) IEM list and it without doubt is a recommended buy if you’re in the market for a top quality monitor that will make you fall in love with all of your music again. The Tango is smooth and musical and with its bigger body and warmth it’s a musical and easy to like monitor. At the same time it performs really good in general and especially the bass, upper mids and layering in general are really impressive. If you’re looking for a good monitor to have a hell of a lot of fun with, then the Tango has to be on your short list. Well done. The package Jomo’s customers get with the Quatre is very nice. The case seems indestructible and the Ares II cable is a more than welcome addition in my books. It’s great seeing manufacturers care so much about their customers. The interchangeable filter system of the Quatre makes it a very versatile product. Depending on your preference you can get a mildly V shaped, balanced sounding IEM, or you can tune up that bass to earthquake levels. Your choice. My only wish is for them to replace the current filters with Torx headed ones. Jomo has created a very competitive product for a price segment that is filled with products, but they proudly can take up any fight in there. 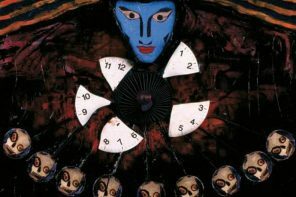 I really enjoyed my time with the Quatre, as it the emotions really can grab you. My filter of choice would be the silver (Musical) one, as the added low end and boosted lower mids give it a higher enjoyment factor to just kick back and relax with your favourite tunes. 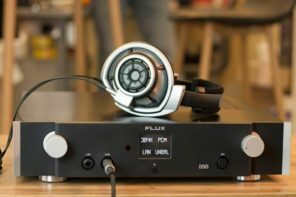 The new UE 18+PRO comes with the new True Tone drivers, the Linum SuperBax cable and a new IPX connector. On top of that it also sounds heavenly and it has like the best hard case ever. If you take into account the fact that it only has six drivers, than there’s no other choice than to put the UE18+PRO on our recommended CIEM list. Yes it’s that good and special, even for $1499. Audio has made quite an impact on my listening experiences. The A12t has won me over with a few short sessions and has made it quick on my shortlist of top monitors. With its thunderous bass, smooth and emotional mids and the superb TIA extension the A12t convinces me on all fronts. Together with the high resolution, big sound stage and great transparency the A12t puts a wide smile on my face when listening to my favourite albums. I fully recommend the A12t to anyone who’s looking for a powerful and smooth monitor that excels on technicalities and can be hooked up to virtually any source with its linear impedance behaviour. It certainly sets the bar high for its competition to take the crown as CIEM of the year. Exciting times ahead. I can honestly say, the Encore is a masterfully crafted in ear monitor with outstanding clarity and detail, superior control and coherence and the most natural iem I know. An earphone that undoubtedly deserves to be positioned at the top of the line. The Kaiser Encore is a clear step up from the original Kaiser 10 and deserves to be called its evolution, as it has gained many new abilities while still retaining what made the K10 so special. These little gems are comparable to some very expensive high end floor standing speakers and share similarities with even the finest and most prestigious PAs I know. The Westone ES80 is a perfectly tuned neutral monitor with great extension, richness, speed and separation. Its sound stage goes both wide and deep and there’s great layering. In fact, I love the tuning and performance so much that the Westone ES80 is going straight to my CIEM recommendation list. The neutral, yet excellent, ES80 has quickly become one of my favorite CIEMs, and it’s even pushing the UM Maestro V1 from the list. If you’re looking for a neutral monitor that has the best possible technicalities then this is it. 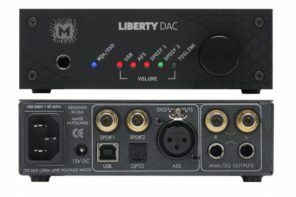 I fully recommend this marvel to the pro users and the audiophiles that want precision, neutrality, richness and extension. You’ll love it. The Cologne based German company knows how to build great monitors. 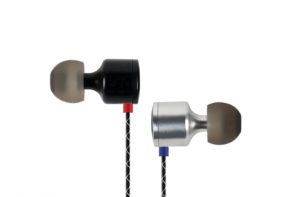 Their build quality and eye for precision are exemplary, their sound to die for. Nathan is a big fan of their six driver with the X control: The separation of musical elements along an X, Y, and Z linear path, is wide. If the VE6 wasn’t plugged into your ears, you might imagine the sound coming from a large headphone. The biggest, and most lasting impression is one of dynamic contrast. Not dynamic as in constant change, but dynamic in terms of the lively rendering of both lows and highs, and the degree to which each offsets the other. The two dance back and forth on the edge of a knife. Attack and decay on both ends are fast and powerful. Balance between them is perfect, and so, too, is the distribution of weight. Ultimate Ears wanted to create the ultimate stage monitor for professional users and they have succeeded in doing exactly that. At the same time the LIVE is more than just a pro monitor as it has a sound signature in which many audiophiles will be able to find themselves. If you’re an audiophile and fan of full bodied sound and impactful bass, a smoother tonality and soft delivery than the LIVE will impress. The LIVE is also the perfect solution for those who use their monitors both at home, on the go and on stage: the LIVE simply can do it all. On top of all that the LIVE comes with an excellent new cable system with improved connectors that will last a very long time. The Flamenco is Jomo Audio’s newest flagship monitor. 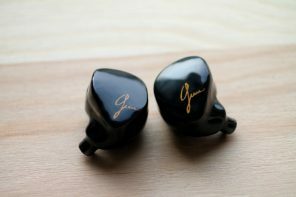 It is replacing the Samba (still great) as Jomo’s recommended flagship CIEM. What an awesome sounding monitor the Flamenco is. The competition nowadays is fierce and several companies have really great sounding monitors but to me, Jomo Audio with the Flamenco, is clearly one of them. Joseph managed to create a truly high end, TOTL custom IEM, and it performs exactly how you expect a flagship to do. 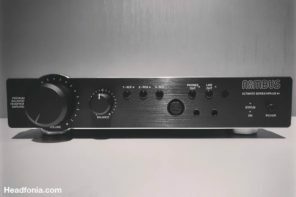 It’s the best unit Jomo Audio has created so far and it has quickly become one of my favorite monitors. Yes I still use and love the Samba, but this just tops it. Empire Ears went out to create something truly unique with their new line-ups. The hybrid X-line features a hand full of proprietary technologies. Dynamic drivers that were designed from scratch, purpose-specific tuned balanced armatures from renowned suppliers, a high-tech coating to ensure that these drivers work at their very best and a super-charged advanced synX crossover network to fine tune them to their optimum performance. The build quality of the Legend X is perfect, with top quality fit and comfort. The sound convinces and the supplied accessories are the icing on the cake. A reigning package all-in-all. It has been a while since the genesis of the original EarWerkz Legend, but evolution doesn’t work fast, today we have reached the Legend’s culmination. The Empire Ears Legend X is a highly enjoyable, dynamic and resolving monitor that is capable of surpassing its competition. The Legend X sounds incredible out of most sources, yet deserves to be used with the best and rewards the listener with even better sound as it scales up very well. Give the Legend some additional power and you will be granted an even higher end listening experience. The VE8 is Vision Ears latest development and it only just has been released. I without doubt can say this is one of the very best 8-driver monitors in my collection. The VE8 delivers a very balanced sound where bass, mids and treble have the same body and perfectly flows in to eachother. The VE8 strongest point are it’s clarity, precision and extension. Could this be the very best treble I’ve ever heard from a CIEM? While the VE8 is expensive it really is very good. If you don’t have the money budget for one I advise you not to listen to it, cause you’ll be hooked even after listening to half a song already. What an exceptional custom monitor the Unique Melody Mason V3 is. My hopes were very high as I love the Maestro V1 and even gave the ME1 the 2017 award, but it’s safe to say the Mason V3 exceeded them all. The Mason V3 plays well with all the sources I used it with and it certainly is one of the very best CIEMs on the market at this point. A top quality monitor with these high end qualities doesn’t come cheap, but what you get in return is one of the very best customs out there. The A18t is to me the most resolving and balanced sounding monitor out there, with the absolute best treble ever paired with the most impressive sound stage of all. Bass that goes deep and is dynamically liquid and realistic. Thick and life-like mids on top of that. Within 30 seconds you can change the signature of it from powerful bass to the richest treble by going from the M20 to the M15 module. These and many more reasons made the A18 Tzar go directly to my short-list for Custom In Ear Monitor of the year (2017)! I know that Headfonia has written a review on the MH335 before, and I’m a little bit curious about fitear. What do you think about fitear? Is there any iem(s) in their lineup (JP exclusive or not) that are worth buying? Does the MH334 / 335 still have the best mids in the iem category? Nathan should know this best, I think. Also at the risk of sounding like a fool because i should know this… DJ headphones always have bass emphasized. But if your djing should they not have a neutral sound so you can equalise different frequencies better? The only thought i have regarding this is that club speakers have more bass so that needs to be reflected in the monitors id be using? For DJ’ing you don’t need a neutral repsonse. You do when you’re into mixing, creating and mastering music. I read every review you posted on CIEMS on this list. However, I still can’t decide what should I choose. I have never tried CIEMS before and cannot find universal demo models of this so I am going to blind buy. HD800S + Hugo2 – soundstage too big, little more bass, mids to distant, need more emotions. 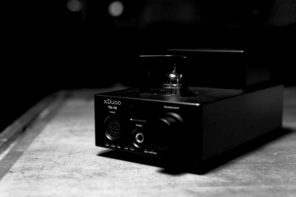 Z1R + Hugo2 – too bassy, mids a little distant, too thin treble treble, too laidback. I want from CIEMS to perform at it’s best within my music genres. What I like: good instrument texture and seperation, clarity, moderate controlled bass with texture (quality over quantity), not thin or veiled detailed highs, mids for female vocals and upper mids for guitar crunch or energy, little intimacy and detailed mids (not backed in the mix). I havein mind Layla, Ve8 but I don’t know..
Actually, do also check out the Lime Ears Aether. It might be exactly what you want with the Bass switch! if budget is of no concern you might want to check out Layla. It’s a full sounding and detailed monitor that delivers excellent emotions and might suit your preference well. That’s a really tough one. Maybe Linus can give you some pointers for the JH monitors. 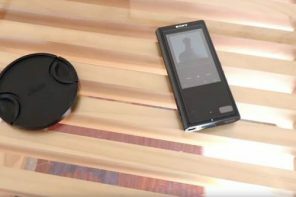 On my end it seems like you might enjoy the Jomo Audio Flamenco and Samba or the Vision Ears VE8. Not too much treble. A little warm, excellent bass and a good level of musicality. I wouldn’t go to the A18t or Mason V3 as these are more technical. First of all, WOW thanks for your fast reply, I really appreciate that:). Second, thankfully the budget is not limited, I want the best sound quality and build quality (no cutting corners). I may try Layla, I read from review of Model X and Aether that they are not well built. What do you think of Roxanne? 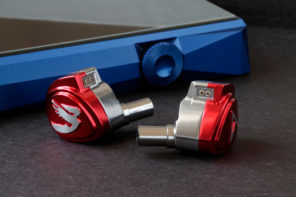 I heard that it’s the most popular CIEM from JH audio (co-flagship?). I would like to stick with 64Audio, JH audio, Vision Ears because I have easier access to buy them. I am shifting towards Jerry’s CIEMS because they have been in industry for a long time and that carbon fiber case is awesome^^. In addition, I like that they don’t introduce new flagship/successor every year so it’s really assuring that Layla is still one of the best out there. Linus, I will list some of my some of my favourite artists (maybe it will help you): Pink Floyd, Dire Straits, Eagles, Norah Jones, Sting, Periphery, Plini, Linkin Park, Garnidelia, Daoko, Amber Rubarth, John Mayer, Eric Clapton, Jeff Beck, Aimer, Chet Baker. I would like to try Flamenco but in EU it’s hard to get them + warranty is outside of EU. I plan to buy from them http://www.custom-inearmonitors.co.uk so I can get full support regarding impressions, fit, warranty and customs. Actually, I forgot to mention that I play electric guitar also so I may want to use it for monitoring. while you’re there just go through all their monitors, maybe they will also have the N8t by 64 Audio, as far as I’ve heard it is supposed to be really good. The A18t definitely will also sound awesome with these artists (it always sounds awesome), but if it’s emotions you’re after and you can live with a darker signature give Layla a go. However, keep in mind that JH universals are humungous and fit might not be the easiest to get, don’t judge it by that… The last time I’ve heard Roxanne was two years ago, I she also has the typical full JH sound. I’m sure you can go there and audition the lineup, take your time and listen to all the candidates. The shop-staff can definitely also assist you in finding the perfect monitor. Layla, Roxanne, Aether and Model X, Andromeda, Vega. I chose Andromeda, with SP1000SS it sounds glorious. I also tested Utopia, Ether, Elear and HD800 but didn’t like it. The fit of Andromeda is perfect for my ears so no need for customs. It looks like jewellery. glad you found your perfect IEM, even without going the custom route. Andromeda is a nice pair indeed. I also had it for a while, but sold it after I got more into custom monitors. Gladly the AKs are completely hiss free, otherwise Andromeda would’ve been a risky choice. Anyway, really glad you found what you were after! Aww man why is the UE18+ not on this list. IMO it’s one of the CIEMs that really has it all at a competitive price. I have it here. Once the review is done I will add it to the list ???? Any chance you guys can do a write up about where to get the best music from now. Whether it be streaming Tidal/Spotify ?? and downloaded to file. It would also be great to know what players can do what and the limitations. As a quintessential newbie its pretty daunting trying to figure out all this stuff thanks. If you’re doing streaming and the site allows you to download the tracks in high resolution, then that’s all you need. You’ll probably have a limited selection of music players that have full-featured access to the streaming site you choose. My personal belief is that 96/24 or 192/24 resolution tracks are as good as anyone would need for stereo, but there are many people downloading huge DSD files, which I think can also do surround as well as stereo. 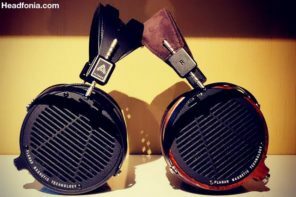 I currently have a pair of Andromeda’s which I enjoy incredibly for my wide genre of music. I listen to jazz, blues, rock (hard & soft), metal, singer song writers (and some small EDM). I really love how my Andromeda sound in general. However comfort wise I haven’t found the ‘click’ yet. I was wondering if you had any recommendation for a custom IEM that sounds exactly like the Andromeda but has that supreme comfort for extended listening periods. As a software developer I will be having them in for longer periods (3-5 hours in a row for example). You have done a fab review – the best I have read so far. I have the 64 Audio 12t and love it. I was tempted by your review to give theVE8 a try but having tried it in a store, I didn’t think it was anywhere close to the 12t. If I was look for another pair with the same tuning and soundstage, which on your list would you recommend I experience?